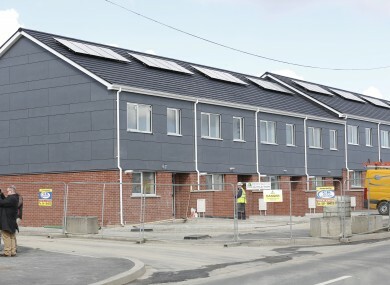 THE NATIONAL ASSETS Management Agency (Nama) handed over 2,378 social housing units last year. That is according to the agency’s annual report, published yesterday. The report shows that 1,909 of those units have been completed, with another 469 contracted. Dublin City Council has one unit awaiting completion, with another 384 already completed. Cork County has the second most, 307 in total with 110 awaiting completion. Nama says that another 370 houses and apartments are in the “delivery pipeline”. Since the start of 2012, NAMA has identified some 6,941 houses and apartments, controlled by its debtors and receivers, as potentially available for social housing. However, just 2,748 of those have been confirmed as suitable by local authorities and the Housing Agency. Many councils turn down units for a number of reasons – some because the homes aren’t fully built or habitable and others because of the high density of social housing. The Irish Times this week reported that 2,000 homes were rejected in 2016. 1,064 of those because there was “no demand” for homes in the areas offered. In private housing, Nama has provided 4,700 homes since 2014, with work ongoing on 2,148 units. Another 7,300 units have received planning permission. In Dublin’s Docklands, construction has started on Nama-controlled sites that will deliver 1.4 million square feet commercial space and 231 homes. The agency also says it hopes to clear its senior debt by the end of this year. The report comes at a time when the agency’s role in housing is being widely discussed. Yesterday, the Home Sweet Home group demanded Housing Minister Simon Coveney and Finance Minister Michael Noonan to use powers under the Nama Act (2009) to make properties available to house the homeless. Under Section 14 of the Nama Act, the Finance Minister may direct Nama to make available certain properties under its control in order to achieve its purposes. Under Section 2 of the Nama Act, one of the nine purposes laid out is for Nama “to contribute to the social and economic development of the State”. Email “Nama has identified nearly 7,000 homes for social housing - but only 2,748 have been taken”. Feedback on “Nama has identified nearly 7,000 homes for social housing - but only 2,748 have been taken”.